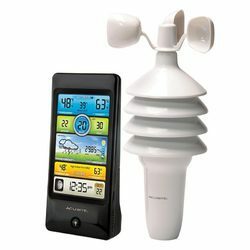 We are a leading firm offering Portable Weather Station to our clients. These are easily and fast installed for mobile applications. It is housed in a whether proof case that weighs heavy and can be deployed by one man in five minutes without using tools. Pre wired sensors are installed which just needs power switch to run. IESI supplied 15 AWS (Automatic Weather Stations) to India Meteorological Department, Pune. This was a global tender through DGS&D. It was awarded to IESI under competition from various large organization like – Electronic Corporation of India (ECIL) Govt. of India undertaking, GCEL (Govt. of Gujarat undertaking) etc. An AWS or Automatic weather station is an automation of the earlier used traditional weather station. These are devised either to enable weather measurements from remote areas or to reduce human involvement. 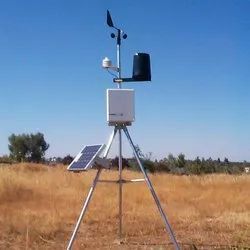 Automatic Weather Station offers professional weather monitoring and precise numerical data values for weather research, analysis and forecasting. Our Monitoring Weather Stations are known for their precision measurements, rugged construction, wide operating temperature range and low power consumption.